REDHEAD COVE! Lake Front Home with Dock on 21mm. Prime location on the lake! Lake Front home! Boat Dock. Minutes from restaurants, swimming, golf, shopping! Looking for a bigger home in Redhead Cove?? We have two 5 bedroom homes next door, as well as another 3 bedroom home! If you would like to be in the middle of all the action, these are the perfect lake houses for you! These properties are located across the lakes premier boat dealership, marina and now the newest restaurant in the Osage Beach area. These properties are extremely rare with a no wake zone protection all year round! Looking for an unforgettable experience while you're visiting the Lake of the Ozarks? Call us about our chartering service! Get a day on the water in our beautiful 52' Sea Ray!! Captain provided. (Ask for details on our ocean charters in the BVI's, Bahamas, and Key West as well). If you would like to be in the middle of all the action, these are the perfect lake houses for you! These properties are located across the lakes premier boat dealership, marina and now the newest restaurant in the Osage Beach area. These properties are extremely rare with a no wake zone protection all year round! 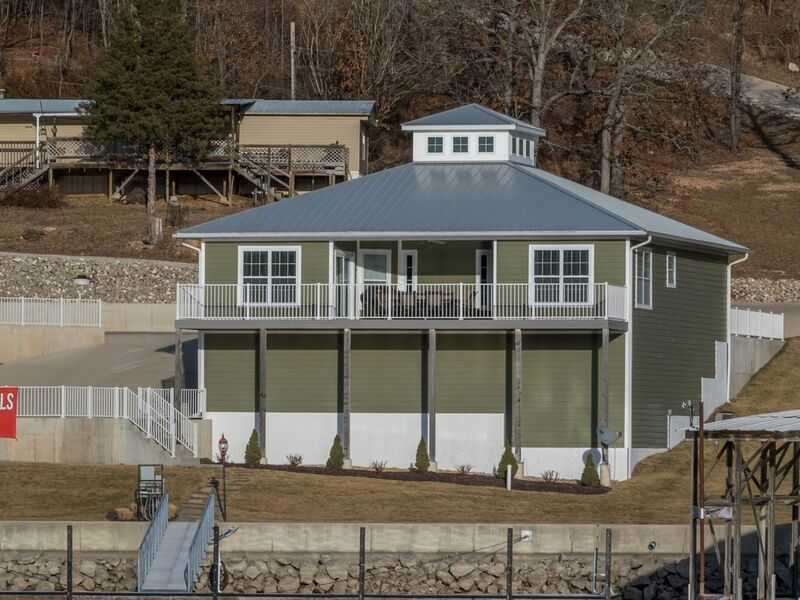 Conveniently located on the 21MM, you will be minutes away from most top attractions at the Lake of the Ozarks! Golf cart is provided to get you across the cove to the bar and grill and/or boat center, showroom and marina. Looking for an unforgettable experience while you're visiting the Lake of the Ozarks? Call us about our Pontoon Rentals and chartering service! Spend a day on the water in one of our new Pontoon Boats, or our beautiful 52' Sea Ray!! Captain provided (for the Sea Ray). (Ask for details on our ocean charters in the BVI's, Bahamas, and Key West as well). Pontoons available for rent. We also have a 52' SeaRay that can be chartered for the day! Boat parking available on courtesy dock that is attached to rental property. Includes electrical outlet. Can be purchased at Redhead Yacht Club Marina Store. Several beautiful golf courses near us. Adult swim up pool bar and children's pool located at Redhead Lakeside Grill. Modern & simply beautiful stay! This was a great location for us to stay. Plenty of space, beautiful view and easy to find. There were 5 deer just up the hill from the house. It was so peaceful! It is a lovely property. We really enjoyed our stay! Great Place to stay. Super friendly staff and everyone went out of their way to accommodate us. I will definitely stay again. Thank You Chy for keeping the gas dock open late for us! Everything was amazing!! The house was clean and nice everything looked new. The huge deck was wonderful to hang out and visit with family. The boat dock was great. The golf cart was awesome to cruse over to have lunch,hang at the pool or just have a drink. We really enjoyed our stay can't wait to stay again!! Pass Turn on to Yacht Club Drive, You will need to turn left when you see two signs that indicate it is a Private Drive. Take an immediate left which will take you down to the two rental houses. Cancellation Policy: 100% refund if cancelled at least 60 days before arrival date. 50% refund if cancelled at least 30 days before arrival date. You must contact the owner directly to request cancellation.